Now's not the best time to buy a tablet, what with all the new goodies coming out of Computex and Google due for a new round of Nexus machines in a few months. But if you're willing to settle for some slightly older models (and hoof it to a local brick and mortar store) OfficeMax is offering some great deals with a coupon code. Enter the code SAVE20 at checkout and you can take 20% off of any tablet you like, so long as you select in-store pickup. Alternatively, you can print out the same coupon and buy it directly from the brick-and-mortar store. 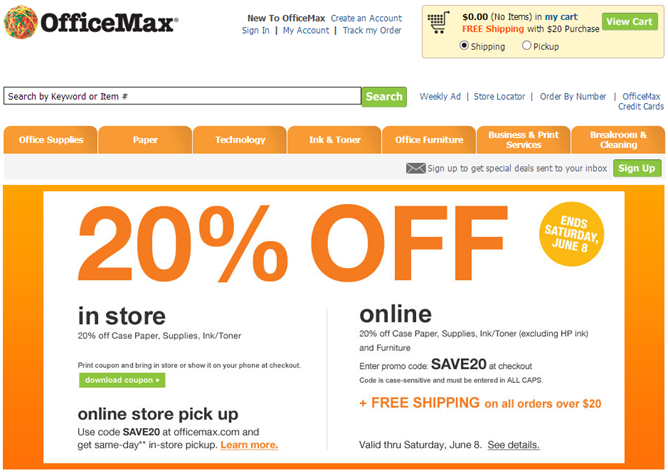 Here's the catch: OfficeMax is not flush with tablets. They're more about office supplies than entertainment or electronics - some stores don't even carry tablets at all. So you'll need to do a little hunting, both on the website and in your local stores. 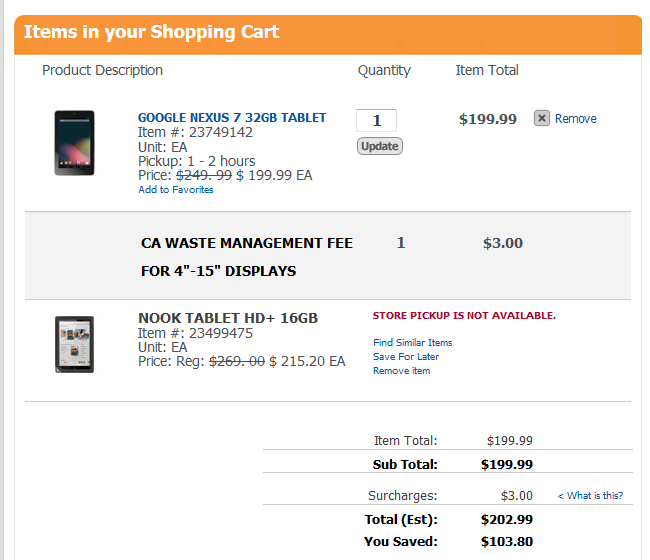 For example, the Nexus 7 is offered at $199 and $249 for the 16GB and 32GB versions, respectively, but you can only buy them in stores (or arrange for local pickup) making them perfect for this deal. With the coupon, they drop to $160 and $200. The same goes for the red 8GB model of the Samsung Galaxy Tab 2 7", but not the silver version - you can buy that one online (without the coupon). Barnes & Noble's Nook tablets are available online, but not for in-store pickup - if you can find one at your local OfficeMax, you can get one discounted with a paper coupon. All these are observations based on my city and those of other Android Police writers - your mileage may vary, literally. Add to all this the fact that stock seems to be running low in many locations, probably because OfficeMax doesn't keep large supplies of tablets handy in any case. Like I said, it may not be easy or simple to find a deal you can actually take advantage of, not to mention one that you'll want, even at 20% off. But if you're willing to put in the legwork, this might be a great way to pick up some cheap Android hardware, for you or your dad. Both the online code and the coupon expire on June 8th. Remember, Father's Day is Sunday, June 16th. Good luck. Note: the 20% off banner doesn't mention tablets, but the ad just below it explicitly states that the SAVE20 code can be applied to tablets, as does the physical coupon.